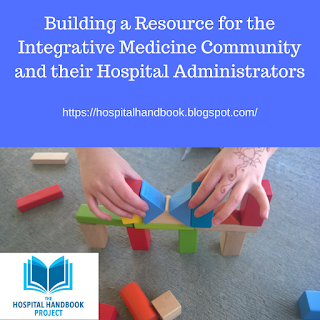 Building the Hospital-practice Learning Opportunities Directory, "Find Your Trail Guides"
Help us build a new directory of hospital-based learning opportunities! This was announced in the August 2018 HH Project newsletter. 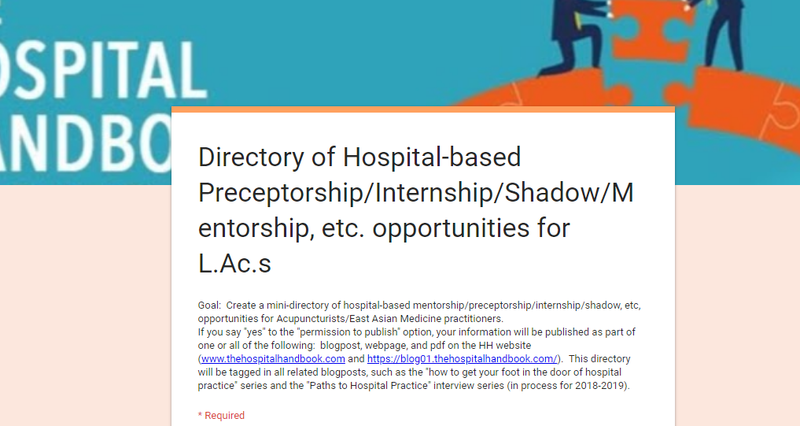 In June, after I finished posting the last of the How to Get Your Foot in the Door of Hospital Practice blogpost series, I surveyed the hospital practice group and learned we do not yet have a published directory of practitioners and/or programs that offer direct ways of finding trail guides or maps (i.e. mentorships, internships, shadow opportunities, or courses/programs) for EAMPs/L.Acs. interested in hospital practice OR interested in a new area of hospital practice. 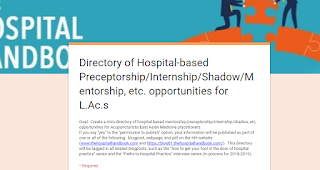 From all the feedback on the directory plus the feedback from publishing the blogpost series, it sounds like the directory will be a useful resource for you all and the larger hospital-practice EAMP/L.Ac. community. 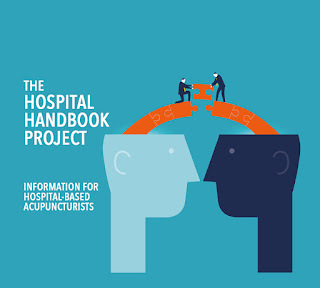 The directory also ties in with future Hospital Handbook Projects, including the two interview series, Paths to Practice and Issues in Hospital Practice Webinar Series. In response, I create an online survey form to collect information. Please share the survey link with colleagues or your hospital admin (hospital sponsor). I know everyone is busy! Let's see if we can get a least 10 response by October 1st, 2018, so I can have a goal of getting it up as a pdf on the website soon after. 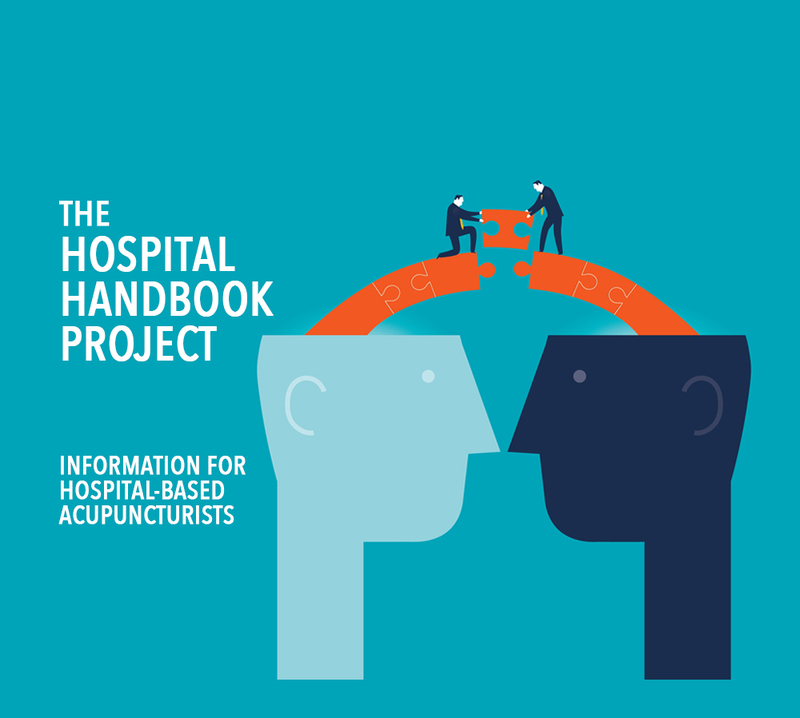 We are gathering information via an online survey to create a pdf directory that can be accessed via the Hospital Handbook (HH) Project website, the Find Your Trail Guides: A Hospital-practice Learning and Mentorship Opportunities Directory. Please follow the survey link and share it with hospital-based colleagues and your hospital admin. What opportunities qualify for the survey/directory? Goal: have at least 10 completed survey forms before October 1st, 2018, so we can publish the first edition of the directory soon after. Within the last 20 years, hospital-level metrics and safety outcomes reporting has become more standardized with the work of nonprofit consumer safety groups like the Leapfrog Group as well as the national Medicare reporting measures which have been adapting a "clinical outcomes value-based metrics" reporting system or "scorecards". Why should you know a little about this? 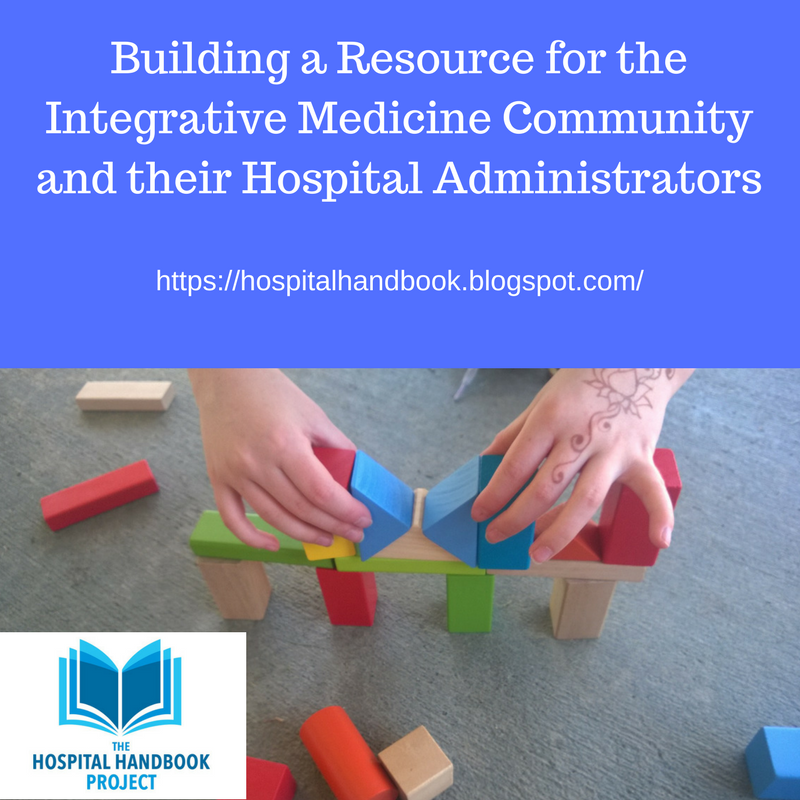 It helps to understand the pressures and standards your facility is working toward when you are developing (or improving) your own clinic outcomes measures, so that you can align your metrics with your facility's larger mission and vision. What is the Leapfrog Group? The Leapfrog Group is a nonprofit consumer safety and advocacy group founded in 2000. It was spurred into action by the 1999 Institute of Medicine's report, To Err is Human, which revealed the terrible magnitude of preventable medical errors in U.S. hospitals. So, the Leapfrog group developed and continues to refine and produce the "Hospital Safety Score", a standardized "scorecard" metric for consumers, employers, and insurance companies to compare and contrast hospitals in their region. Led by CEO Leah Binder, the Leapfrog group works to encourage transparency in hospital patient safety guidelines and scoring. "is a nonprofit watchdog organization that serves as a voice for health care purchasers, using their collective influence to foster positive change in U.S. health care. Leapfrog is the nation's premier advocate of hospital transparency--collecting, analyzing and disseminating hospital data to inform value-based purchasing." Leapfrog Hospital Safety Grade: This initiative assigns letter grades (A, B, C, D, or F) to hospitals based on the facility's patient safety record (hospital errors, patient hospital-acquired infections, accidents, and hospital-acquired injuries). "reports data on almost 2,000 hospitals, with regional partnerships in 36 states. We kick-started a national campaign to reduce early elective deliveries, launched a pay-for-performance program, and designed the Leapfrog Hospital Safety Grade to empower consumers to make better choices." "To trigger giant leaps forward in the safety, quality and affordability of U.S. health care by using transparency to support informed health care decisions and promote high-value care." All the short videos below have the theme of "great hospital team care communication = good patient safety"
If you are aware of other hospital-level metrics groups and programs, please add them with a link to their webpage in the comments section of this post and send me a message. Did you find this information useful? 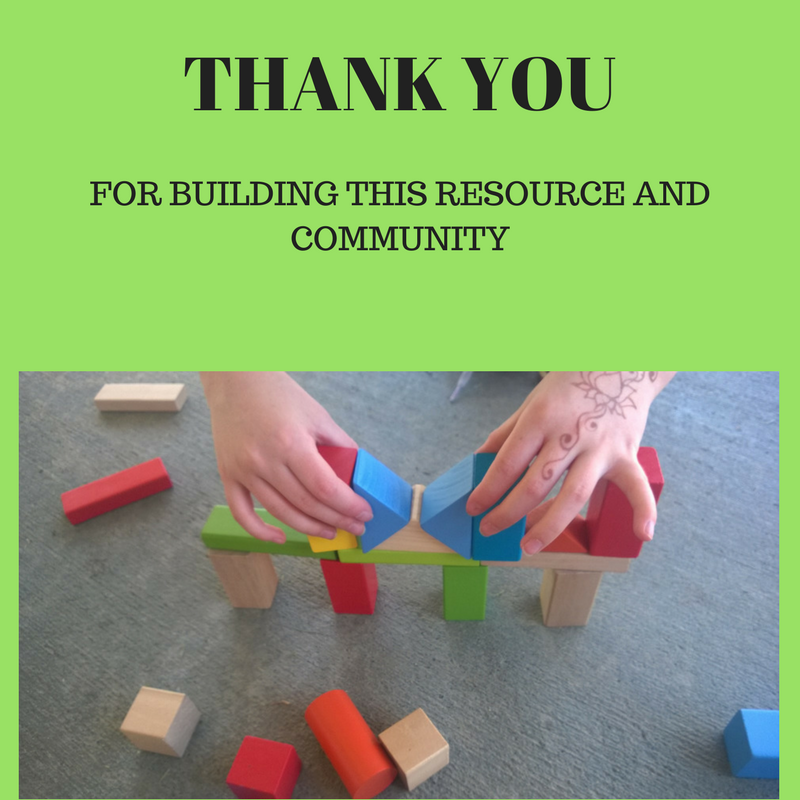 Please support continued work on the blog through a contribution via our website. Thank you. "Writing a case report is one of the simplest and most effective ways to become actively involved in massage therapy research. By taking the valuable insights you have gained by working with a client and sharing that knowledge, you enable others to work more effectively with clients who have similar needs." 5-part webinar on how to write a case report, "Free 5-Part Case Report Webinar Series"
(2) Connect with other therapists by joining an "E-Research Cohort", where strategies for writing case reports are discussed. The International Journal of Therapeutic Massage and Bodywork (IJTMB), the official journal of the Massage Therapy Foundation, is open-access, peer-reviewed, and indexed in PubMed. "Through IJTMB, the Foundation provides peer-reviewed case reports and scientific information free of charge to therapists, students, medical professionals, patients, and anyone else who may be interested in the science behind therapeutic massage." Students must submit before their graduation date and the contest accepts applications year-round. Applications are reviewed once/year. The Massage Therapy Foundation newsletter and newsletter archives, the Communicator. The Foundation has a series of infographics they have created for specific research studies to visually explain and share key information and conclusions from the studies. You can view all of them and their related published research papers on the website. You can view a collection of research posters. The foundation has research grants, community service grants, a student case report contest, poster abstract submission options, and research journal submission guidelines. 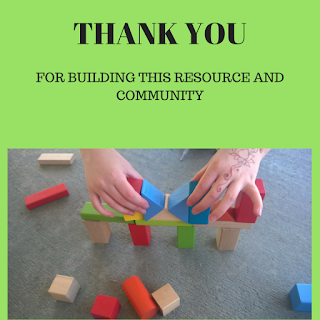 Read more about the program at this page and watch the video to see examples of programs which have received grant funding from the Foundation. Interested in Supporting this 501c3 Nonprofit Foundation? You can support the Massage Therapy Foundation through individual donations, sponsorships, or volunteering. Learn more here. The U.S. National Institute of Health (NIH) has announced that Dr. Helene Langevin will be the new director of National Center for Complementary and Integrative Health (NCCIH). 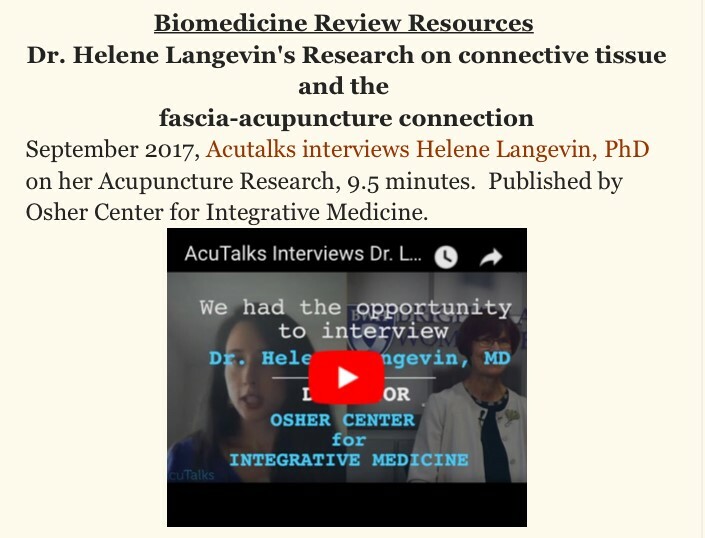 Dr. Langevin is known in the integrative health community for her research in fascia, mechanisms of action, and several biomechanics of acupuncture. We featured several videos of her presentations in the “biomedicine review” section of the June 2018 blogpost. What is the mission of the NCCIH? What does the position of NCCIH director entail? NCCIH is a department under the agency of the National Institute of Health (NIH). "We're thrilled to announce that Dr. Helene Langevin joins us today as NCCIH's new director. 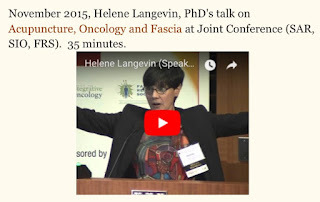 Dr. Langevin comes to the National Institutes of Health (NIH) from Brigham and Women's Hospital and Harvard Medical School, where she serviced as director of the HMS Osher Center for Integrative Medicine. She has also served as a visiting professor of neurological sciences at the Robert Larner, M.D. College of Medicine at The University of Vermont. Dr. Langevin's research interests center around connective tissue, with her most recent studies focusing on the effects of stretching on inflammation resolution mechanisms within connective tissue. She has also conducted studies on the mechanisms of acupuncture and manual and movement-based therapies." Highlights of Meridians Winter 2017 issue and the origin of "30% = clinical efficacy"
Langevin HM, Churchill DL, Fox JR, Badger GJ, Garra BS, Krag MH. Biomechanical response to acupuncture needling in humans. Journal of Applied Physiology. 2001;91(6):2471-8. Langevin HM, Churchill DL, Cipolla MJ. 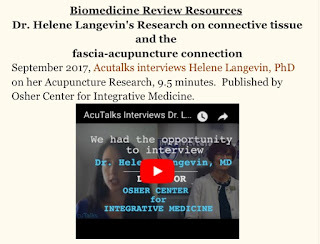 Mechanical signaling through connective tissue: A mechanism for the therapeutic effect of acupuncture. The FASEB Journal. 2001;15(12):2275-82. Langevin HM, Bouffard NA, Badger GJ, Iatridis JC and Howe AK. Dynamic fibroblast cytoskeletal response to subcutaneous tissue stretch ex vivo and in vivo. American Journal of Physiology-Cell Physiology. 2005;288(3):C747-56. Langevin HM, Bouffard NA, Badger GJ, Churchill DL, Howe AK. Subcutaneous tissue fibroblast cytoskeletal remodeling induced by acupuncture: Evidence for a mechanotransduction-based mechanism. Journal of Cellular Physiology. 2006;207(3):767-74. Langevin HM, Stevens-Tuttle D, Fox JR, Badger GJ, Bouffard NA, Krag MH, Wu J, Henry SM. Ultrasound evidence of altered lumbar connective tissue structure in human subjects with chronic low back pain. BMC Musculoskeletal Disorders. 2009;10:151. Langevin HM, Fox JR, Koptiuch C, Badger GJ, Greenan-Naumann AC, Bouffard NA, Konofagou EE, Lee WN, Triano JJ, Henry SM. Reduced thoracolumbar fascia shear strain in human chronic low back pain. BMC Musculoskeletal Disorders. 2011;12:203. Corey SM, Vizzard MA, Bouffard NA, Badger GJ, Langevin HM. Stretching of the back improves gait, mechanical sensitivity and connective tissue inflammation in a rodent model. PLOS ONE. 2012;7(1):e29831. Berrueta L, Muskaj I, Olenich S, Butler, T, Badger JG, Colas R, Spite M, Serhan CN, Langevin HM. 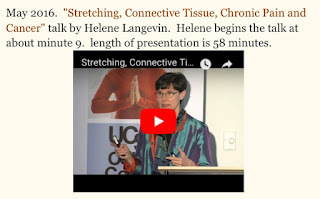 Stretching impacts inflammation resolution in connective tissue. Journal of Cellular Physiology. 2016;231(7):1621-7. Sign up for our email newsletter and learn how you can support this work.